When innocent student, Gabriella, leaves the comfort of home in Chicago for college in San Francisco, she is not expecting to find love; however, she meets Seth her first day. 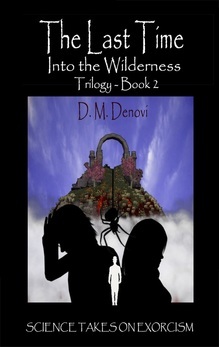 Madly in love, the couple is swept up into the diabolical hunt for the Woman in the Wilderness. 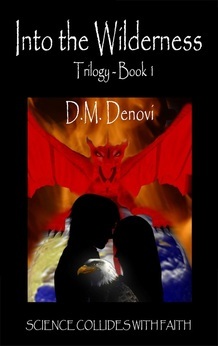 Stalked by demons, Gabriella flees the Bay Area under the protection of her beloved Seth. Enter in Samantha: a demon hunter, of sorts. A technological genius, Samantha identifies the possessed humans and performs exorcisms with a modern flair: extracting the demons and storing their malignant essence into a demon containment system, which is located in her self-contained lab beneath the voodoo infested New Orleans soil. Along with the Three Wise Men, three soldiers following the esoteric wisdom of God, Samantha identifies her greater purpose: to protect the Woman in the Wilderness and develop a sophisticated prison in which to entrap the Great Red Dragon for all of eternity. Combining science and faith, exorcism will never be the same in this unstoppable battle between good and evil. Concealing time and history, religion and science collide, fusing into a sinister hunt as God's plan takes form. The hunt continues as Young Gabriella's sordid lifestyle spirals into a series of unwelcome events that introduce her to the pit of Hell. Unaware of the evil that lurks around Young Gabriella, her parish priest reaches out to the only individual capable of stunning the beast within: Samantha. Arriving in Chicago, Samantha discovers the twisted fate that has driven Young Gabriella to self-mutilation and abusive behavior. With only the Last Time and Half a Time remaining, Samantha is forced to step up her technology in an effort to preserve the Woman in the Wilderness. After the destruction of her New Orleans lab, Samantha is accompanied by the Three Wise Men and other trusted companions to a hidden island where she constructs a massive laboratory. Young Gabriella's plight introduces the challenge of reverse engineering exorcism, leading Samantha in an entirely different direction. With familiar characters and new personas, the 2nd installment of the trilogy continues to bridge the rift that separates science and faith, love and hope, and sin and redemption. In the final installment of the war between good and evil there remains one question: who is who? The Devil has exactly 30 years to determine which soul will solidify his triumph over the earth - with one minor stipulation: he must do so as a man and a father. The Great Red Dragon has agreed to gamble with his existence; and while the advantages of the Devil's victory remain high, the odds teeter between little to none. Stripped of all supernatural ability, the Devil has only the wits and intuition of the man he has agreed to become for a Half a Time. In the flesh of a mortal, the Great Red Dragon has taken on his new identity as Red: a motion picture mogul and father of triplets housing the souls of Gabriella, Seth and Gareth; however, not necessarily respective to their intended bodies. Red is challenged with presenting one of his children at the altar to denounce God by the child's 30th birthday. Identifying Gareth is Red's only chance at self-preservation; and as such, he has enlisted Adri, who is enslaved in the body of Madame Fulce to serve as the children's nanny. With time ticking away quickly, Red is no longer interested in hunting the Woman in the Wilderness. His 30 year gamble revolves around seizing the one child capable of kneeling to the Beast. Who is who? Who will seize control over the Earth? Half a Time will determine the fate of mankind.